I don't have a before photo but just picture a white too short Tshirt and a piece of striped fabric. 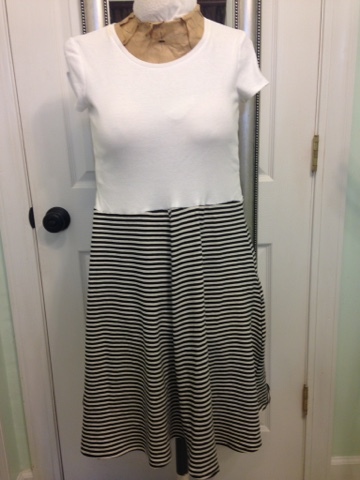 I used a skirt pattern to make the bottom of the dress which was then attached to the tshirt. 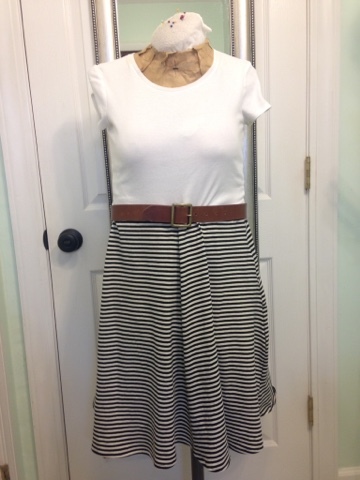 I love the simplicity of the refashion, but the belt just brings everything together. Love it.